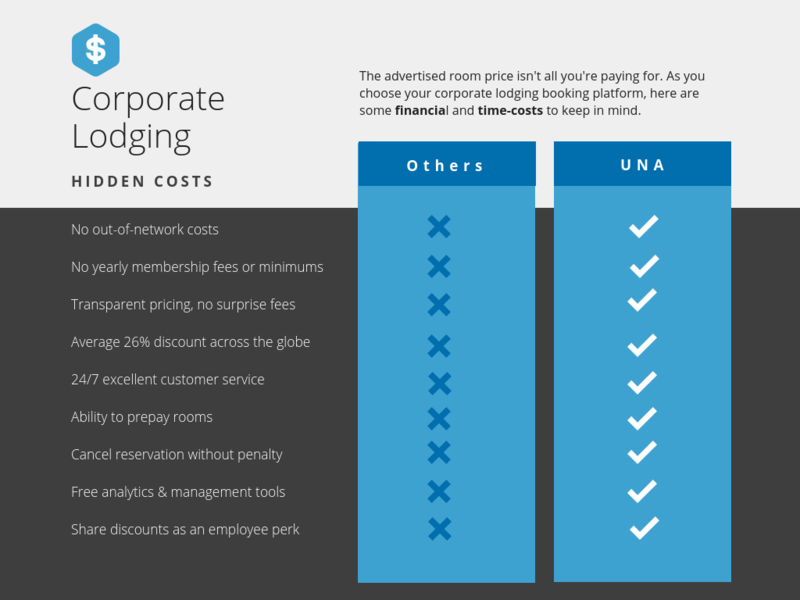 Your corporate hotel booking process should be free — no membership fees or volume requirements. The room pricing should also be totally transparent. Here are some of the costs to keep an eye out for, so you don’t get hoodwinked. 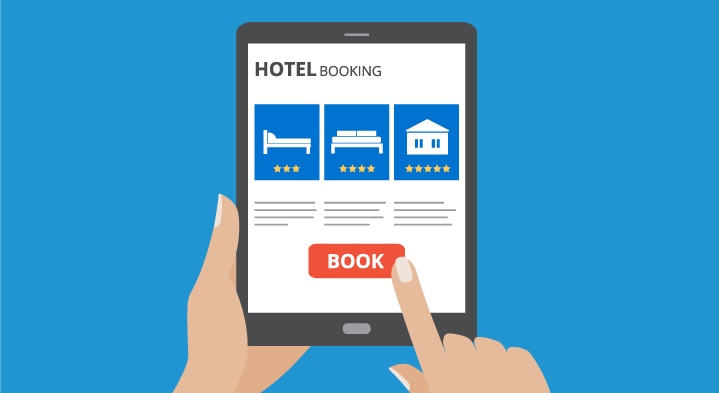 Just like with medical care, with some booking platforms, there are higher costs for hotels that are not part of the official hotel program network. If the Marriott is your favorite chain, but it’s out-of-network for the booking platform, you’ll wind up paying more. 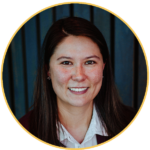 Find out just how many hotels they’re working with; many providers only have 15,000 hotels or fewer in their network. Or they’re only in the U.S., which leaves you pretty limited. 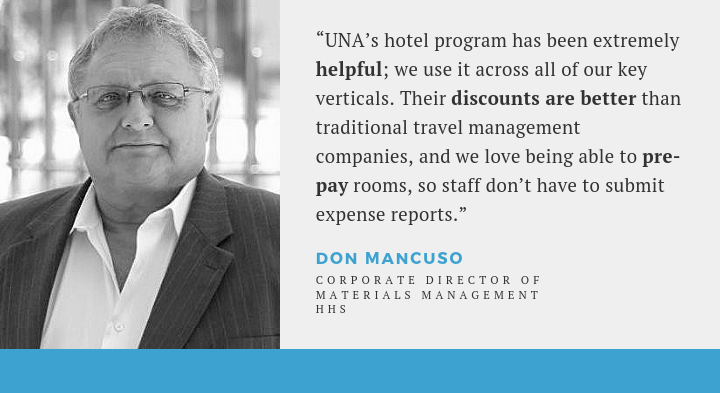 Others like UNA, have much larger networks, we partner with over 150,000 hotels across the globe. Bottom line, your booking platform should be giving you average discounts of 26% or more, if not, it’s time to find a new platform. All too often, the advertised price you saw when you booked isn’t the price you ended up getting. The discount looked great, but between the hidden charges or “service” fees, it racked up quickly. You might see multiple charges for the same room or service. Make sure your booking platform breaks down the costs, so you know what you’re getting into — better yet, see if you can pay ahead. Many platforms make you carry your membership card. If you don’t present it upon check-in, you don’t get the discount. This is a problem because let’s be honest, are you actually going to remember to bring your card? Whether it’s being required to carry your card or memorize your account number, it’s more complicated than it needs to be. Limited customer support hours can be a big headache when the booking company closed at 5 p.m., and your hotel can’t find your reservation at 11 p.m…. One more thing you should be wary of, not being able to prepay your bill. Forcing staff to put their rooms on their personal credit card not only creates more expense reports for you to wade through, but it could max out their credit as well. The billing and payment process should be simple and easy. Get what you deserve. Learn more about UNA’s free corporate hotel booking. To request your free corporate hotel consultation email me or call 816-326-1026. Read full bio and connect here.